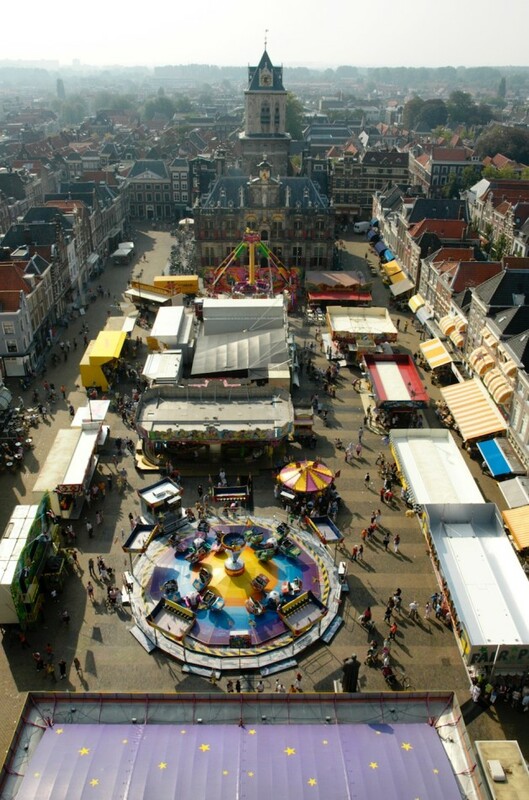 Sep 16, 2006 | aerial, buildings, fairs, rides, square, urban, vendors. Fun fair in the main square of Delft. The building at the end of the square is the city hall.